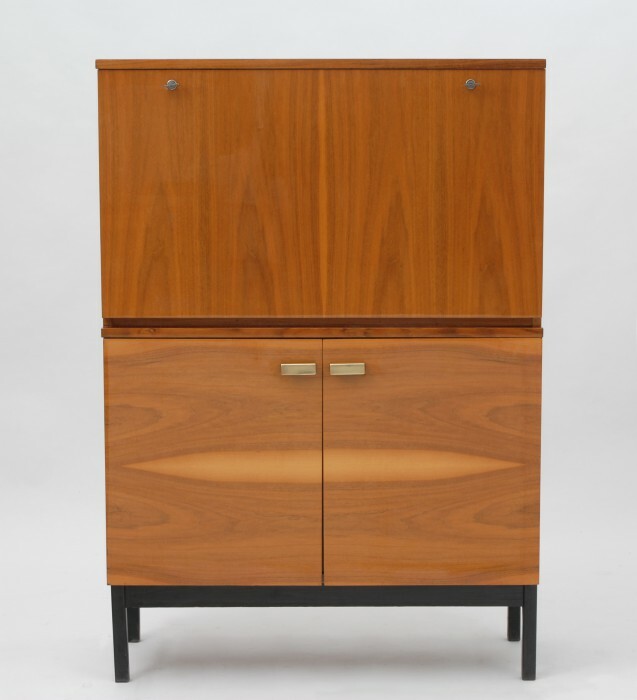 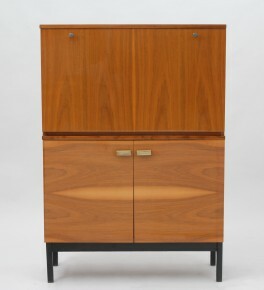 Wooden cabinet with a beautifully preserved veneer. 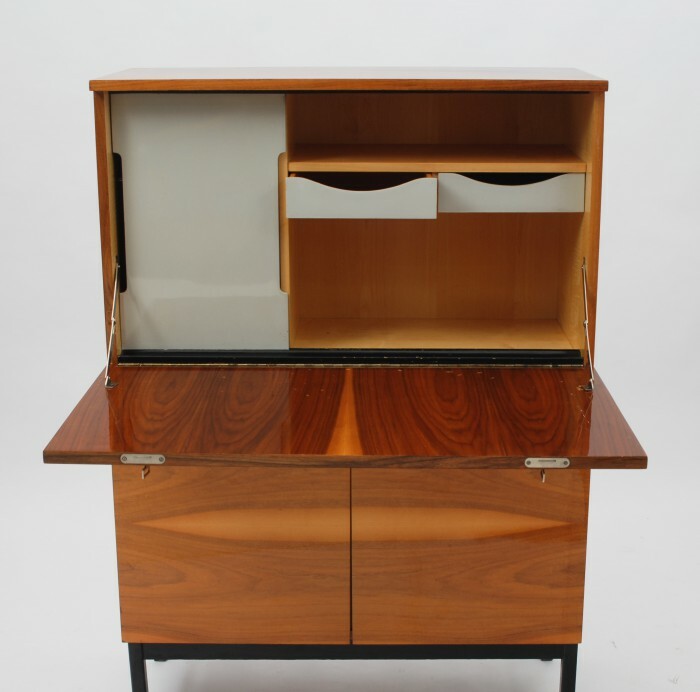 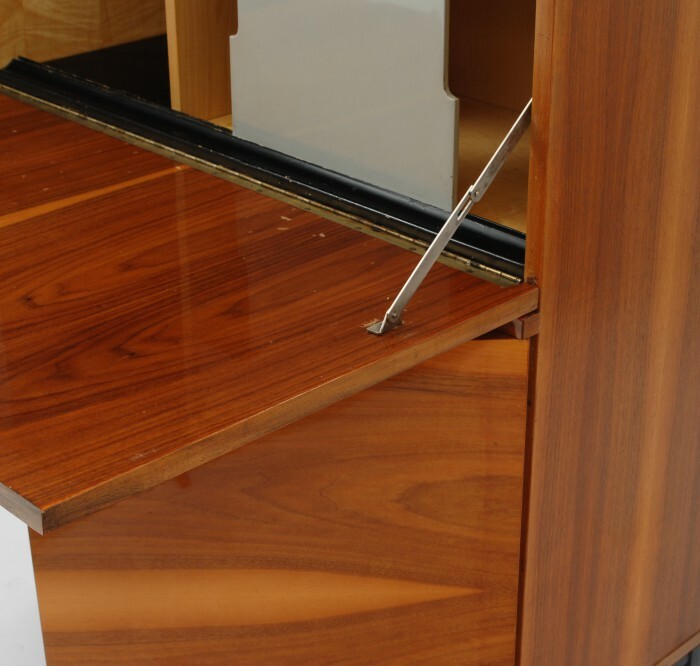 The upper part is made up of a small bar with sliding doors, a shelf and two drawers. The lower part with storage.